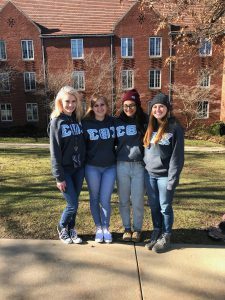 Sigma Theta Chi, also referred to as the Sig Thets, is one of eight sororities on Grove City’s campus. 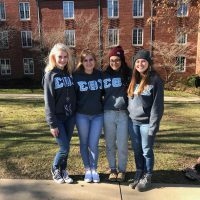 Junior Sig Thet Samantha Funderlich only has wonderful things to say about her experience joining this sorority. Junior Samantha Funderlich and her fellow Sigma Theta Chi sorority sisters enjoying the Grove City sun.